Prospects are good for a dozen new bald eagle babies being helped by the American Eagle Foundation. They’re expected to hatch later this spring at the group’s lakeside nesting location in East Tennessee. The Foundation hosts a webcam to allow virtual access to nests in the captive breeding program. 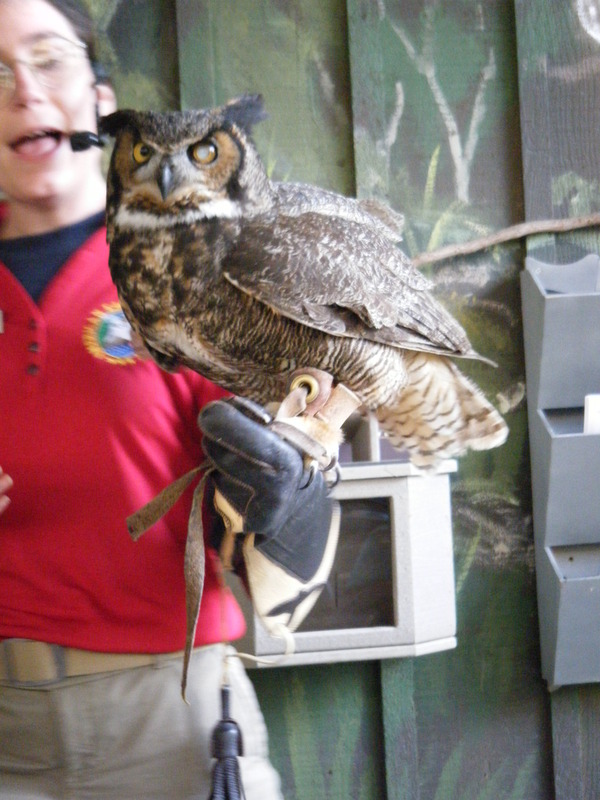 Our family learned about the nesting babies while at AEF’s bird show at Dollywood theme park. That’s where bald eagles pose for pictures and hawk wings brush right over the audience. 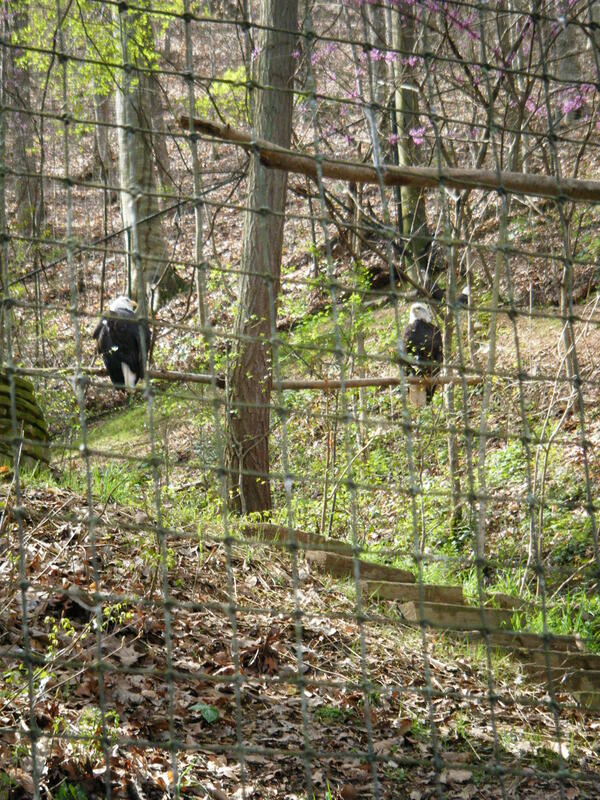 The park has long been host to a raptor sanctuary. Park visitors can see bald eagles resting on low perches, most unable to survive in the wild because of injuries. Entertainment and education work together poignantly when bird trainers tell of eagles, hawks and owls being injured by gunshot and other human means. These birds, even after they’ve healed, are often unable to return to the wild. 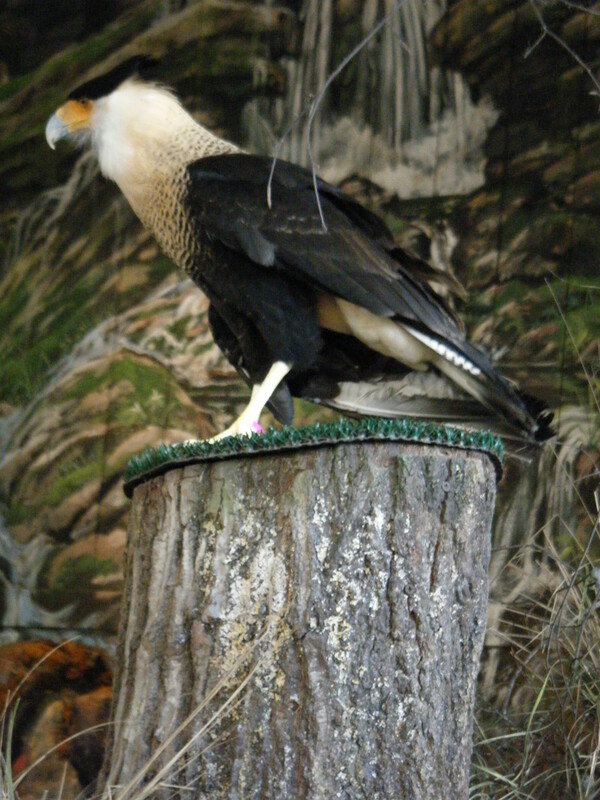 Free-flying hawks, a caracara that finds its own food, and even a mild-mannered buzzard entertain audiences at the bird show. 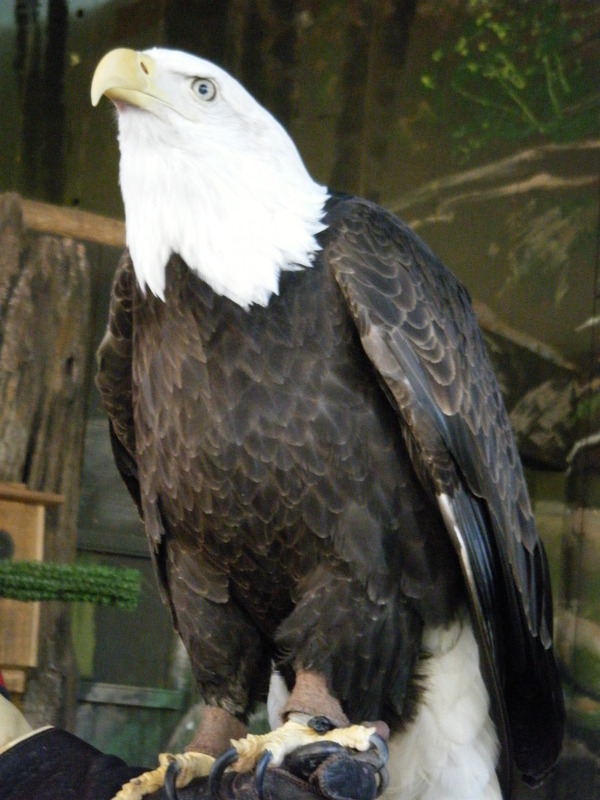 The star of this show is America, a 23-year-old bald eagle. This weekend, his 23-year-old counterpart, Challenger, was on the road working as an ambassador with AEF founder Al Cecere. They inspire awe while educating about our national symbol.